One of the benefits of being a member of Potters Council is the Mentoring Program. Whether you are looking for a mentor or you would like to be one. If you are not familiar with this program, please check out the link: http://ceramicartsda...toring-program/ Potters Council organization includes artists at many different levels of expertise, ranging from student, to recreational, to professional ceramic artist. This wide range of expertise will provide a great mix of mentors and mentees. Benefits of Becoming a Mentor Gain personal satisfaction from enriching the emerging artistsâ€™, studentsâ€™, or established artistsâ€™ current artistic needs. Give back to the ceramic community through the development of our peers, emerging artists, students, and ceramic professionals for the future by personally and professionally supporting their growth. Enhance coaching, feedback and existing skills. Exposure to new and different styles, knowledge, and perspectives. Receive a nomination from your Mentee for a Mentor Award. Potters Council recognition. Do you have knowledge and expertise to share with others? Are you ready to give back to the ceramic community as a mentor? You can get started by reviewing the Mentoring Guidelines and completing the online <a href="http://www.surveymonkey.com/s/potterscouncilmentorapplication" target="_blank">Mentor Application. _____________________________________________________________________________________________________________________________________________ Below are artist who are in need of mentor - take a few minutes to see if you can help give back to the ceramic community... Mentee #812 | Are you a good challenger? Fellow artist needs you! Please consider helping a fellow potter in AK. She is a thrower, hand builder, into sculpture, tile making, architectural ceramics and more. Her idea is to transition from functional to art pieces. Also interested in mold making, tiles, and learning to throw. If you can guide her, provide feedback on business, forms and aesthetics, undergrad and graduate submissions, please consider joining an altruistic crew of Mentors. She hopes for a 3-6 month Mentoring Relationship, but is open to smaller time frames, if necessary. And if you have a great sense of humor, extra plus, plus, plus! ------------------------------------------------------------------------------------------------------------------------------------------------- Mentee #803 | Atlanta Hand Builder needs help with techniques & art focus please consider helping this Atlanta, GA artist. She is struggling with the decision between art and function, prefers hand building, and enjoys adding in social commentary. She hopes to learn shortcuts and techniques and is very open to instruction and tips. This is a short-term Mentoring arrangement (less than 3 months). ----------------------------------------------------------------------------------------------------------------------------------------------------------------------- Mentee #804 | NC Potter With The Fever, Needs Mentoring Help Please consider helping Mentee #804, a Neil Patterson-ish & Steven Hill-ish artist. She is looking for help in learning new skills and techniques in clay (forming, finishing, and firing). Sculptor. She is in a new studio co-op. As an artist, she is trying to develop her own style and experimenting with wheel-thrown altered shapes...(hmmmm...sounds like a technique by clay master, Neil Patterson Website for Neil Patterson). She also requested help with spraying and dipping glazes....(hmmmm....sounds like a few Steven Hill skills needed Steven Hill's website). This is a short-term placement (less than 3 months). She has a big studio opening in the next two months, so I imagine she wants to review ideas soon to help her move forward. Just wanted to give an update to all PC members who submitted an entry... We are in the process of reviewing all submissions. We anticipate announcing the winning calendars the first week of November. An email will go out to all PC members announcing the winners and web link to the 2012 calendars. Place for Attendees to Communicate Before, During, and After the Event. Looking to carpool with other attendees, make dinner plans in advance or you just want to have discussion with attendees or presenters FUNCTIONAL CERAMICS + BEYOND September 23-25, 2011 Indianapolis, Indiana Hosted by AMACO/brent Featured Artists: Jason Burnett, Tom Lucas, Brooke Noble, Nan Rothwell, McKenzie Smith and AMACO Technical and Professional Ceramic Artist Staff http://ceramicartsdaily.org/potters-council/functional-ceramics-beyond/ Functional is Beautiful Making functional pots is challenging, inspiring and satisfying. Where else can you enjoy something from the moment you start to make it, and each time you use it? Whether youâ€™re serving cool drinks from a pitcher, soup in a bowl or fruit on a platter, functional pieces complement your food and reveal your sense of style. Each of our presenters have developed their own functional styleâ€“some steeped in tradition and others going a step beyond. No matter how simple or utilitarian, this conference takes you past the every day function of a piece by paying tribute to the elegant union between surface and form. Since I am an early bird at work, I for sure need my coffee to keep me going. Jackson Gray made me a special mug celebrating Potters Council 10th Birthday... I have been using it everyday. See attached pics. She made it in my favorite colors - Scarlet and Gray (for my favorite team). Again Thanks Jackson for making me such a beautiful mug. 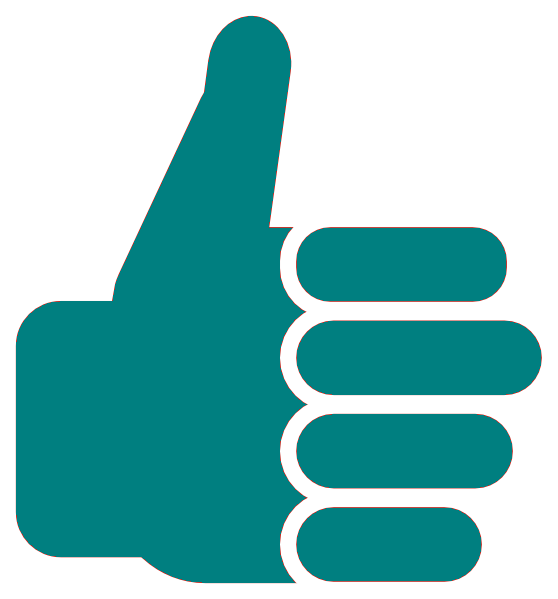 Just let you know... you can like a post... look to the bottom right of each post... You can click the green button to say you like. Just sending out a reminder that the Call For Entry deadline is September 1, 2011 | Potters Council members you still have time to send us your submissions. Sweeet! We can cross off this request. Some amazing people in this organization.... Thanks for mentoring! Potters Council Question of the Week | #4 - How many days a week do you work in the Studio? To see the results of the question, you must be a registered user and answer the question. Hard to believe that we are already on week 4. This has been so much fun. I have really enjoyed reading everyone's answers. Last week opened my eyes to some different artists, and I hope it did the same for you... Potters Council mission to meet the needs of studio potters and ceramic artists by providing a place for knowledge exchange... the Question of the Week is to promote the exchange of information--sometimes serious and sometimes just for fun. We thought doing a poll would be great way to see how often everyone can get into the studio... If you missed the previous weeks questions here they are: Week #1 - "If you could only take one piece of ceramic art to a deserted island, what would you choose and why?" Week #2 - If you were a piece of pottery, would you be sculptural or functional? Why? Week #3- Which artist would you love to work beside in their studio for one week? Provide the artist name and why? New to the Forum? Here are some instructions for you. If you have not been on the Potters Council forum, no worries. You can register today for FREE. Already a registered user go here to sign in. New users to the forum check out the links below for help: Register Now to have access to the Potters Council forum. How to register for Potters Council forum | Step-by-Step Instructions Help logging in and out | Read more... General forum questions | Read more... I hope you have as much fun answering the questions, as the Potters Council Board had putting the list together. We are also accepting additional questions of the week. Send your question to cdorr@ceramics.org. Mentor Found - You just made this person happy! 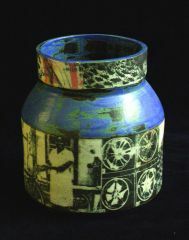 FUNCTIONAL CERAMICS + BEYOND September 23-25, 2011 Indianapolis, Indiana Hosted by AMACO/brent http://ceramicartsdaily.org/potters-council/functional-ceramics-beyond/ Featured Artists: Tom Lucas, Brooke Noble, Don Reitz, Nan Rothwell, McKenzie Smith and AMACOÂ® Technical and Professional Ceramic Artist staff. Functional is Beautiful Making functional pots is challenging, inspiring and satisfying. Where else can you enjoy something from the moment you start to make it, and each time you use it? Whether youâ€™re serving cool drinks from a pitcher, soup in a bowl or fruit on a platter, functional pieces complement your food and reveal your sense of style. Each of our presenters have developed their own functional styleâ€“some steeped in tradition and others going a step beyond. No matter how simple or utilitarian, this conference takes you past the every day function of a piece by paying tribute to the elegant union between surface and form. Read more about the Conference go here: http://ceramicartsdaily.org/potters-council/functional-ceramics-beyond/ MCKENZIE SMITH Clay, Form, Slip, Glaze For this demonstration McKenzie will focus on the making of wheel thrown functional ware exploring a variety of forms including thrown and altered pots. He will demonstrate a number of decorating techniques including the use of slips, wax and glaze. Additional Information: McKenzie Smith is a potter working in Florida. McKenzie worked as a Core Student at the Penland School of Crafts. He received his BFA from the University of South Florida and his MFA from the University of Florida. Residencies include the Archie Bray Foundation, Banff Center For The Arts, Baltimore Clayworks, and the University of Miami. Smith has exhibited widely and taught numerous workshops. 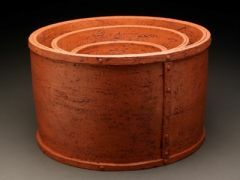 The pottery McKenzie produces is made in stoneware clay and he is influenced by folk traditions. His aim is to make functional pots that are lively and show the natural beauty of clay and fire. McKenzie is drawn to wood, salt/soda firing because of the rich effects these firings techniques have on his clay, slips and the glazes. The element of chance is very much a part of these atmospheric firing techniques and brings to play a deep connection between tending the fire and the work within. McKenzie is hoping that these elements in combination produce ware that has a warm essence and gives pleasure in use. 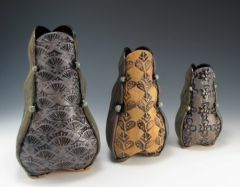 Read more about the Conference go here: http://ceramicartsdaily.org/potters-council/functional-ceramics-beyond/ NAN ROTHWELL Playing with Thrown Forms; Stretching Your Comfort Zone Starting with wheel-thrown components, Nan will demonstrate multiple ways to alter their shapes and add texture. Techniques will include faceting with a wiggle wire while the wheel is stationary and moving, creating square and oval forms, and stretching a surface that has been dried with cornstarch to create a parched-earth texture. Nan will show you a number of ways to step outside your comfort zone and work larger, including how to center larger amounts of clay in stages, and how to grow a pot by adding then throwing successive rings of clay. You will come away from the demo with an expanded sense of what is possible on the wheel, in shapes, textures and sizes. 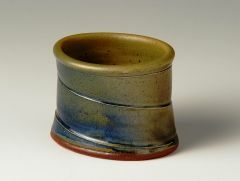 Additional Information: Nan has been potting since 1969, working in salt glaze and cone ten reduction firing. Her pots are made to be used â€” to enhance the rituals of preparing and eating food, to hold flowers, to light a corner for reading. Making functional work connects her to the age-old powerful tradition of artist craftsmen who make beautiful objects for daily use. After all these years, Nan enjoys every aspect of making pottery, especially throwing and firing. The alchemy of transforming soft clay into finished pots continues to excite and inspire her. After initial training in England and Ireland, Nan now works in rural Virginia. 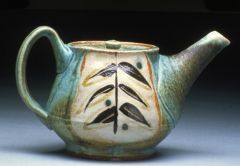 Instead of the multiple repetition of her early production, she now works in short series of related but not identical pots. In the past several years, Nan has expanded beyond small domestic ware to include larger forms. Coming to this fairly late in her potting career has meant having to learn techniques that compensate for the physical effects of aging â€“ working in stages, using softer clay, & etc. Nan looks forward to sharing some of those tricks and techniques at the conference. She had wonderful, generous teachers as a young potter, and welcomes the opportunity to pass the favor on. Her love of teaching is hardly altruistic â€” Nan finds it valuable, as it forces her to examine processes and visual decisions. Having to explain keeps her questioning why she does things a certain way. Nan tries new techniques and forms as she respond to her studentsâ€™ queries. Teaching is an exhilarating exchange â€“ one that challenges her set ways of doing things. As someone who has made pots in relative rural isolation for many years, Nan is especially grateful for the chance to get out of her driveway and present at conferences and workshops â€“ always sources of new energy and ideas. Read More about the conference go here: http://ceramicartsdaily.org/potters-council/functional-ceramics-beyond/ DON REITZ All You Wanted to Know About Ceramics, but Couldnâ€™t Find a Teacher to Tell You Don will be using the vessel form as a jumping off point for the personal expression of the potter by utilizing different wheel throwing techniques, decorating with slips and AMACO Velvets, glazing processes, and creating special effects on your work by stacking and creative firing. Don will also demonstrate throwing larger on the wheel, show several painting techniques on slab work, and will discuss woodfiring and salt glazing.  Additional Information: Artist Statement: The search for artistic expression never goes away. It is a continuation of experiences that have led me to this particular point in my career. Because of recent physical restrictions I am no longer able to do large sculptures and throw a ton of clay over the weekend by myself, which I truly enjoyed doing. It is a natural evolution for me to revert back to my painting skills and working with color to counter the extreme discomfort of physical exertion. This is not the first time I have made full circle, in the early 80â€™s during the Sara Series; color was a means of diverting pain into pleasure. 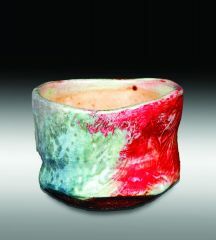 I enjoy the â€œcolorâ€ of wood firing and the firing process. Now I have combined the three things I love in my art color, form, and physical activity. I have been able to develop a pallet of bright colors that are muted by the wood fire at cone 13, using my slips, and clay bodies. The triptychs are naturally a carryover from my abstract expressionism days as a painter in the early 50â€™s. I love the action and physical activity of throwing color around, and the ability to add to, abstract from, bend, alter, and tear my canvas. Clay is wonderful; there are no limits to this medium. Iâ€™m looking forward to a long period of working with wood firing, bright colors, painting and sculpture. Thanks to my two assistants I can do a body of work again. I always remember there are no rules, only concepts.